Originally published at Latin America News Dispatch. This was Ruth Alipaz’s first impression as a delegate this past April to the 17th session of the United Nations Permanent Forum on Indigenous Issues. 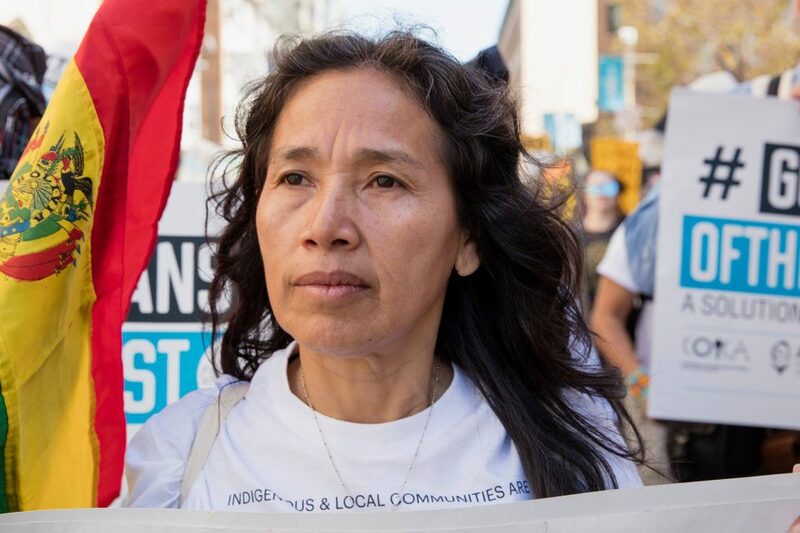 Alipaz is an environmental activist from the northeastern lowlands of Bolivia who has devoted her life to fighting against megadam projects in San José de Uchupiamonas, a community of 750 indigenous Tacana–Quechua peoples. The Bolivian government supports dam projects that Alipaz said would “displace more than 5,000 indigenous people.” But when she travelled the 4,000 miles to New York City from her home at the confluence of the Beni, Tuichi and Quiquibey rivers, the organizers allotted her only three minutes to speak. Alipaz’s frustrations are especially concerning in light of this year’s report of the Special Rapporteur of the Human Rights Council on the rights of indigenous peoples, which will be presented to the Third Committee on October 12 by Victoria Tauli-Corpuz. In her report, Tauli-Corpuz highlights such issues as attacks against and criminalization of indigenous peoples; lack of consultation and free, prior and informed consent; and the rights of Indigenous peoples in isolation as sites of extreme concern that require immediate action. Yet, despite the fact that indigenous peoples make up approximately 15 percent of the impoverished people of the world and inhabit 80 percent of the world’s biodiverse lands, no items on the 73rd UNGA schedule directly addressed indigenous issues and only two of over 300 listed resolutions up for debate this session even mentioned the word “indigenous.” Given the disproportionate impact on indigenous peoples of such big ticket U.N. issues as climate change, poverty and land rights, the omission is glaring. How to include indigenous peoples in the work of the United Nations has been a point of contention ever since the ratification of the U.N. 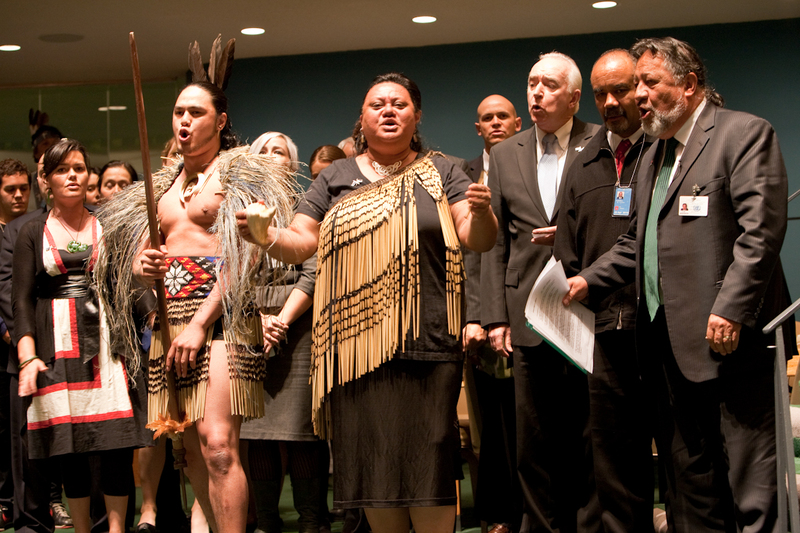 Declaration on the Rights of Indigenous Peoples, adopted in 2007. In 2016, then-president of the General Assembly Mogens Lykketoft appointed a special committee to advise on improving the participation of these populations, but its final report asked: how can a few indigenous delegates from around the world possibly represent all indigenous peoples? The committee did not have an answer. 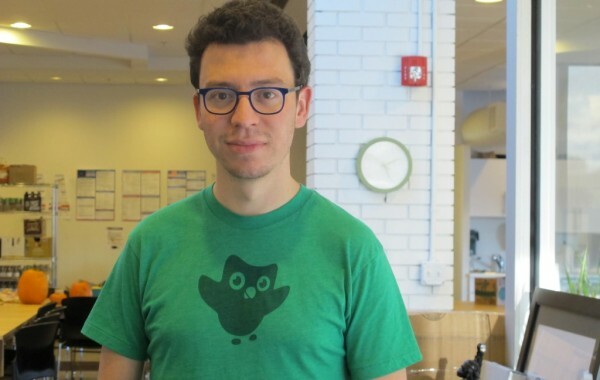 Now, there is a new proposed solution in the works—in the form of an app. Last year, during a high-level event of the General Assembly, a coalition of states along with the European Union and the International Labour Organization announced a new technology for monitoring the rights of indigenous people. The proposal was a web application called “Indigenous Navigator,” designed to enable native peoples to monitor their rights from within their communities. The project is extremely seductive: why rely on the General Assembly to represent indigenous peoples when they can represent themselves, remotely and via cutting-edge data-collecting technology? Could an app be the answer to over a decade of failed attempts to include indigenous peoples in the international body? The web application, which officially launched in 11 countries early this year, is comprised of four “community-based monitoring tools” that are designed to bridge the gap between indigenous rights implementation and the United Nations goals. The toolbox, which is available open-access to anyone with internet, consists of: a set of two impressively comprehensive surveys designed to collect data on Indigenous rights at a community and national level; a comparative matrix that illustrates the links between the U.N. Declaration on Indigenous Rights and the U.N. development goals; an index designed to quickly compare indigenous realities across communities, regions, or states; and a set of indicators designed to measure the realization of indigenous rights in communities or states. The surveys are divided by sections based on the U.N. declaration on the Rights of Indigenous Peoples, and include such categories as cultural integrity, land rights, access to justice, health, cross-border contacts, freedom of expression and media, education, and economic and social development. The surveys also include tips for methodological administration. For example, in questions about poverty rates in the community, a tip provided reads: “Most people/communities have their own criteria for defining who are poor and who are not poor. Here you are asked to estimate how many of the men of your people/community are considered poor, according to your own criteria for poverty.” It then suggests that it may be helpful to first discuss what are the perceived characteristics of a poor person within the community, before answering the question. Hernán Ávila Montaño is the director of Bolivia’s Center for Legal Studies and Social Research and he has overseen the tool’s implementation in two Bolivian territories. The goal of the project, he said, “is to measure the level of respect for the rights of indigenous peoples in different areas of their lives,” by surveying their economies, safety, land, access to education and health, access to water, and food security. In Bolivia, the stage of collecting preliminary data wrapped up a few weeks ago. Ávila Montaño’s organization ensured that the surveys were accessible by having a team of indigenous technicians oversee the app’s implementation in over 60 communities. Over the past eight months, the team travelled by land and canoe to each community, equipped with pens and paper printouts of the surveys translated into Chiquatanía and Quechua, as well as non-verbal visual aids. They called communal meetings and administered the surveys, Ávila Montaño said. Still, the process was hard. The European Union is currently evaluating Bolivia’s data, and Ávila Montaño expects the results to be published within the next few weeks. After that, he said, the plan is for the E.U. and other international partners to propose projects based on the community needs the app has indicated, such as “a water treatment project in Lomerío or a food security project in Tapacarí.” Nonetheless, he said, the app is no panacea. Bolivia is, in many ways, a tailor-made candidate for the app. The western Andean country signed the U.N. Declaration on the Rights of Indigenous Peoples and the the Indigenous and Tribal Peoples Convention 169 into its new constitution in 2009. 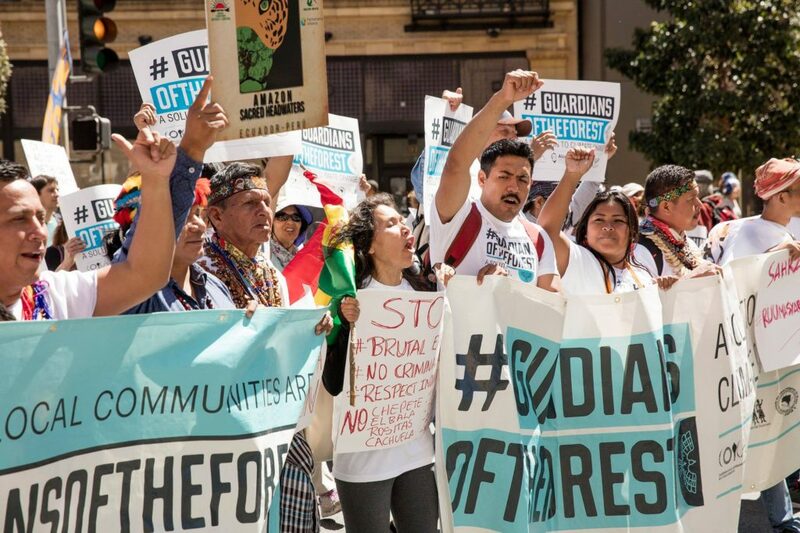 In Bolivia these “are not just any laws, they are some of the most important laws,” said Ávila Montaño, meaning that, at least in Bolivia’s case, the Indigenous Navigator is just as much a tool of monitoring national and regional law as it is a means of monitoring UN goals. Ironically, the fact that Bolivia has enshrined the U.N. indigenous rights declaration in law reflects the limitations of the Navigator as a one-size-fits-all solution for all 11 countries across four continents that are implementing the app. The four tools are, at least in the Bolivian context, in many ways obsolete. Bolivian indigenous peoples do not need help in recognizing their rights as articulated by the U.N. These guidelines are already enshrined in law by their own president. 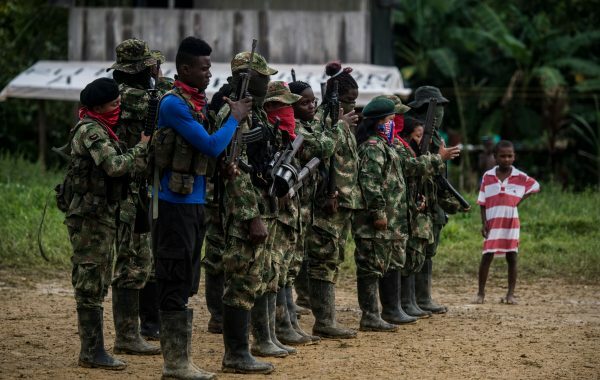 Despite this fact, Evo Morales and his Movement Towards Socialism party continue to propagate and enact anti-indigenous projects, especially in the Amazonian lowlands. This brings the usefulness of the Indigenous Navigator tools into question. If a majority-indigenous government officially recognizes indigenous rights yet still continues to violate those same rights, how will a set of surveys change state behavior? Jane Anderson, an intellectual property lawyer who focuses on indigenous rights, is skeptical about a tech solution to the issue of indigenous representation. Furthermore, Anderson is wary of the all-too-familiar power dynamic between Western researchers and indigenous subjects. However, Anderson was critical of any project that proposes to improve indigenous representation in the U.N. body —app or no app— and said that a localized, grassroots approach to fight for indigenous rights is much more effective. 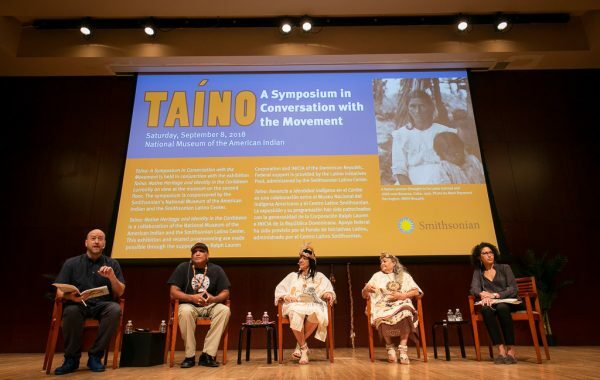 Although Mendoza-Mori agrees that it is difficult to prioritize indigenous issues at the General Assembly, he speaks highly of U.N. initiatives that happen outside of the annual three weeks of high-level debate in early autumn. “What they are doing now, which I like, is that they are traveling more. This year they traveled to Bolivia, for example, and are trying to connect with and learn from indigenous leaders there,” he said. He also noted that the U.N. has made a point of creating diplomacy internship opportunities specifically for indigenous leaders, which has led to the permanent appointment of indigenous peoples in U.N. offices such as Miriam Masaquiza, a Kichwa woman from rural Ecuador, who has worked for the U.N. permanent forum in New York for over a decade. As for the app? Alipaz sees potential, but stresses that it must be approached with caution. But she does not rule out its potential to become a space for indigenous empowerment.